Former FBI Director James Comey’s memos about meetings with President Donald Trump were government property and four out of seven contained classified information, according to officials familiar with the documents. After Trump fired him on May 9, Comey revealed he had written up a number of memoranda about their meetings since the beginning of the year. He leaked the content of some of the memos to the press through a friend, later identified as Columbia Law School Professor Daniel Richman. The FBI also said that all of the memos were in fact government documents, rather than Comey’s personal files, meaning that his possession and disclosure of them violated the bureau’s rules and procedures, the news outlet reported. 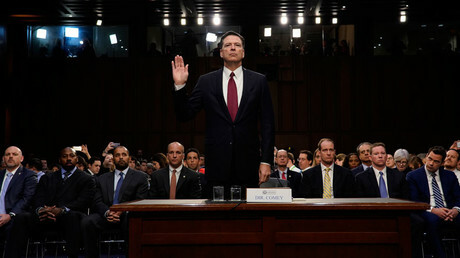 Comey has since handed over the documents to Robert Mueller, a personal friend whom the Justice Department appointed as special counsel in the probe of alleged Russian interference in last year's election. The revelations came as Comey’s documents were shown to members of Congress and their staff, the outlet noted. It was unclear whether the information in the documents was classified at the time Comey wrote the memos, The Hill’s sources said. 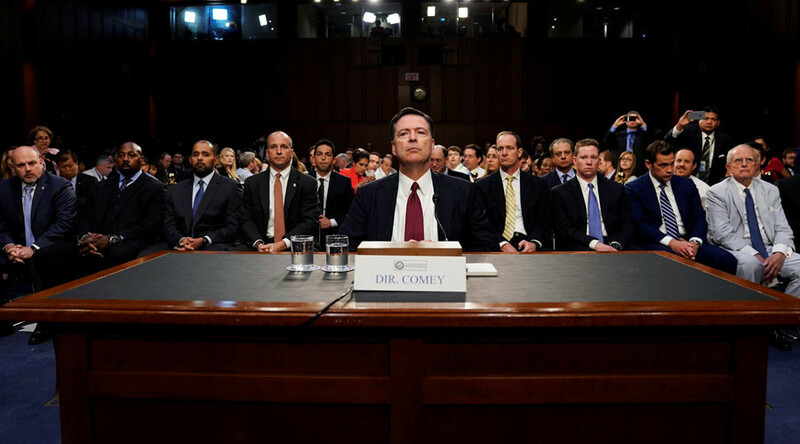 “My view was that the content of those unclassified... memorialization of those conversations was my recollection recorded,” Comey testified on June 8 before the Senate Intelligence Committee. Asked by Senator Roy Blunt (R-Missouri) if those memos were government documents, the former FBI director replied in the negative. “I understood this to be my recollection recorded of my conversation with the president. As a private citizen, I thought it important to get it out,” Comey said.